The storefront of your business offers more than curb appeal; it is a marketing tool that allows people on the street to see the products you offer, current specials or promotions, and so much more. Give your storefront a facelift by replacing any broken glass panes, resealing the panes, or redesign your storefront al together with help from Clayton's Glass. Clayton's Glass offers new installation for storefronts as well as complete repair or replacement services—whatever your storefront needs to look its best. There are two very common repairs that storefronts may require: replacement of the window seals and replacement of the glass itself. 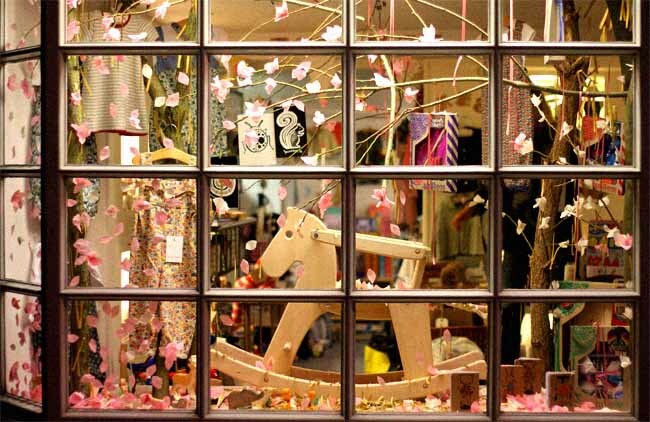 Replacing the glass in your storefront - Nothing diminishes the look of a glass storefront like a broken window. The inevitable quick fix of plywood only serves to worsen the situation. When glass breaks in your storefront, call Clayton's Glass at (806) 373-2000 for a quick, professional replacement. Replacing storefront window seals - Over time the seals around the glass in your storefront can break down, allowing moisture into the space. This water causes the glass to take on a foggy or cloudy appearance. The only way to remove this fog is to reseal the window. It may be that your storefront still has the windows and seals intact, but it still appears ...tired or worn. Call Clayton's Glass to give your existing storefront a much-needed facelift. We will inspect every aspect of your storefront, look for wear or damage, and then provide you with repair or replacement options. Surface Wear - If the seals on your windows are intact but you still see a cloudiness to the glass, it could be a result of surface wear. Surface wear occurs over time as the glass sustains damage from wind, rain, and debris. The very small areas of damage are no threat to the integrity of the glass, but the unevenness this damage causes on the surface of the glass results in a slightly cloudy or blurry view through the glass. Some of this wear can be repaired by treating the surface, but for best results the glass should be replaced. Seals and Gaskets - Very subtle movement of the glass in your storefront's windows may push out additional seal compounds or even tear the gasket between the glass and the frame. If too much material is pressed out, the seal will have to be replaced. Otherwise, we can simply clean up the excess just like we would for a new storefront installation. Clayton's Glass is ready to assist in the planning of your new storefront. Whether you are converting an existing structure or building from the ground up, the storefront experts at Clayton's Glass have the knowledge and expertise to fabricate a storefront that complements your business needs perfectly. Opt for a modern, seamless storefront with a continuous wall of windows, the timeless look of framed window panes, or any style in between. to give your storefront a fresh new look or start planning the new face of your business.